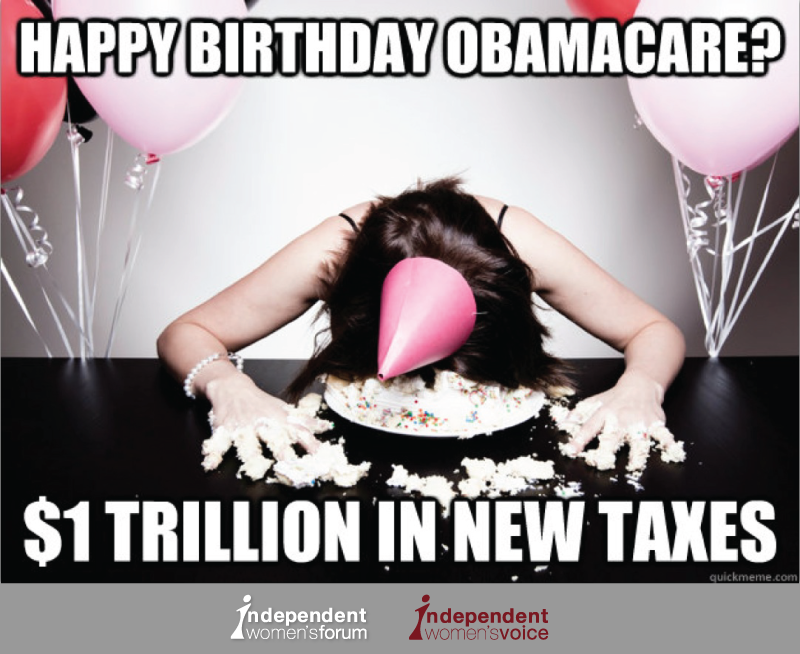 (Washington, D.C.) – In honor of the three-year anniversary of the President signing the Patient Protection and Affordable Care Act (better known as ObamaCare) into law, the Independent Women's Forum releases a series of ObamaCare birthday memes to highlight the law's broken-promises. 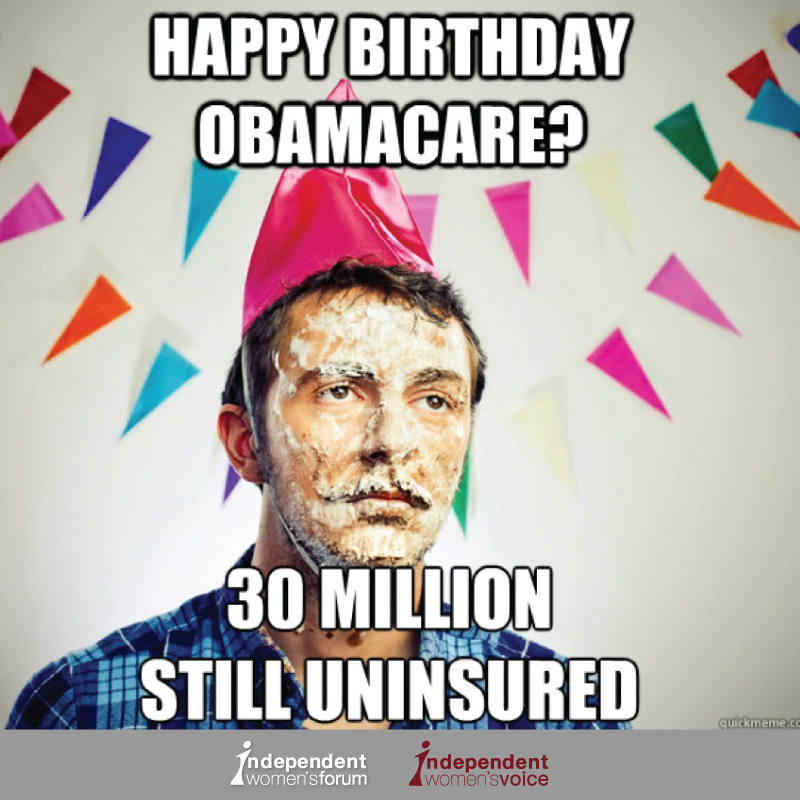 On ObamaCare's third anniversary, there isn't much to celebrate. Time and again, we have learned that all the law won't actually do what it's proponents promised it would. 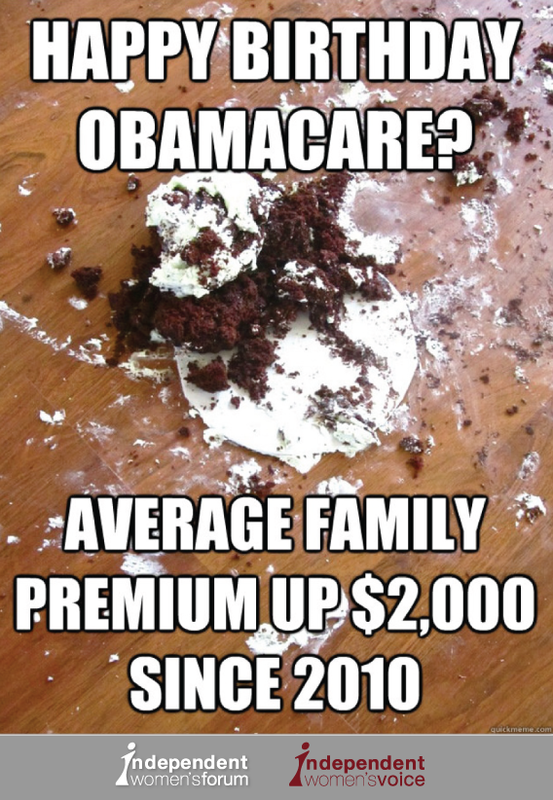 Americans were told ObamaCare would lower premiums by $2,500. 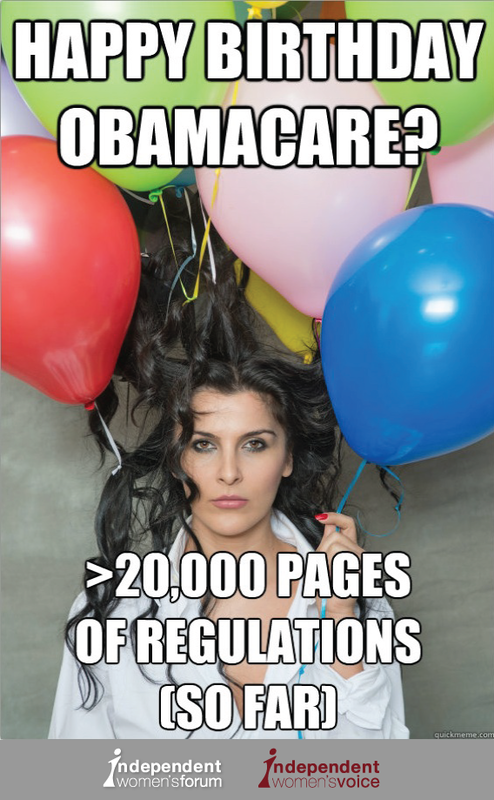 Today, premiums are $2,000 higher. 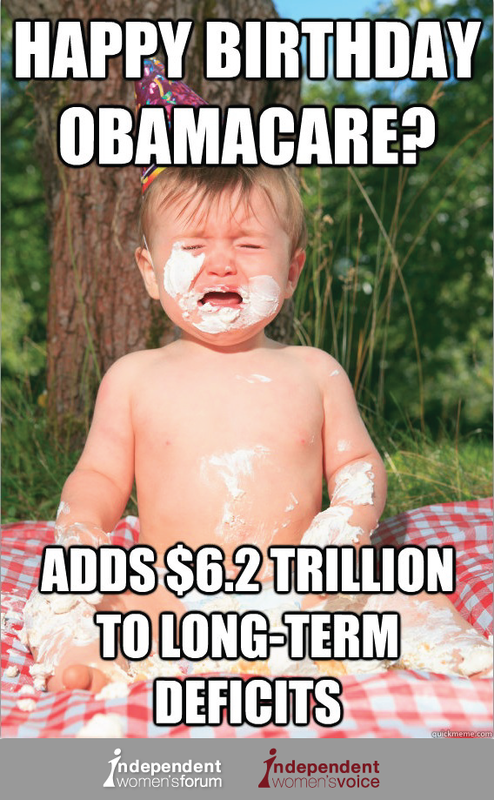 Americans were promised ObamaCare would be deficit-neutral. Today, we know it will add $6.2 trillion to our national debt. Americans were told ObamaCare would eliminate the problem of people lacking health insurance. Today, we know that even after ObamaCare's costly mandates and subsidies are fully implemented, an estimated 30 million Americans will remain uninsured. This law provides neither "patient protection" or "affordable care." Americans are still waiting on real reform that targets the roots of our rising costs and puts individual patients – not the government – in charge of health care decisions.